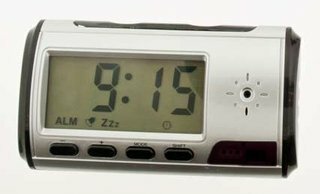 Micro camera discreetly hidden in digital clock Great for any room, home or business Records up to 8 hours of video on a 32 GB SD card (not included) Motion activated recording Built in DVR for video storage Easy to use and can be placed in any room for covert surveillance. Up to 8 hours of continuous recording. High quality video stored onto an SD card, up to 32 GB. Motion activated recording for recording storage optimization. 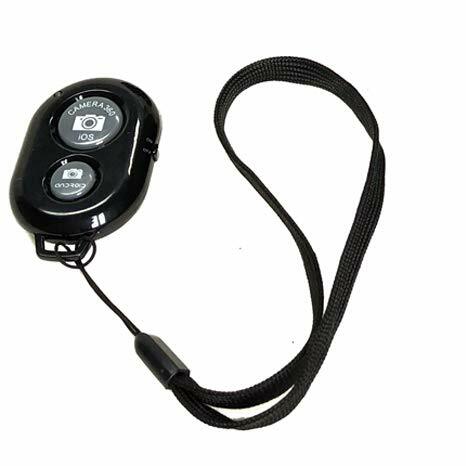 iShot Pro Bluetooth Wireless Remote Control Camera Shutter Release Self Timer for iPhone 7 7S Plus SE 6 6S 6S+ 5 5s 5c 4s 4, iPad Pro 12.9/9.7, Air 1/2, Mini 1234, iPad 234, iPod (4th Gen or higher), Samsung Galaxy Tablet or Phone and All Other Android based Phones/Tablets. 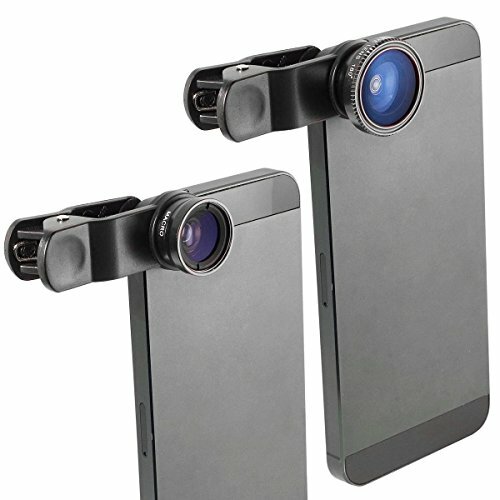 Apple Compatibility List - iShot Pro Camera Shutter Remote works on all iOS devices (V7 and above) (current iOS version is 9) with a camera on it. iShot Pro Shutter works great with the native camera/video app of iOS and also other apps. Just pair it up and shoot video and photo immediately. Android Compatibility List - NO APP NEEDED for Samsung Galaxy S4, S3, Note 3, Note 2, Note Tab 2, Note 8, 10.1. Moto X, Droid 2, Nexus 4, 5, 7, 8 and all newer version with bluetooth 3.0+ and Android 4.1+ For Sony Xperia Z, HTC New One and X+, simply download the app "Camera360" from Google Play. Video Mode Switch your native camera app to video mode and you can start taking videos with your remote shutter. iShot Pro remote will sleep in 1-2 minutes if not used, so you might need to press twice to stop the video (once to reconnect from sleep model and a second time to stop the video).Battery LifeBattery life of up to two years if the iShot Pro Remote is turned off after use. The CR2025 battery can be replaced if/when necessary. 3rd Party Camera App Compatibility:iShot Pro Remote is Compatible with the following Apps: SNAPCHAT, Camera, Camera+, Hipstamatic, Fisheye Cam, 645 ProII, Pure Camera, Pixlromatic, Popstamatic, iDarkroom, Camera360, Duomatic, SlowShutter, TtV Camera, CrossProcess, Big Lens, Diptic, ShakeItPhoto, Vintagio, and Rawporter. Other Camera App may not be compatible. We love these medium ball heads, they are very professional, super lightweight and versatile. The iShot Pro medium ball head is our new line of professional high quality gear that adds the finishing touch to our tripod mount models. 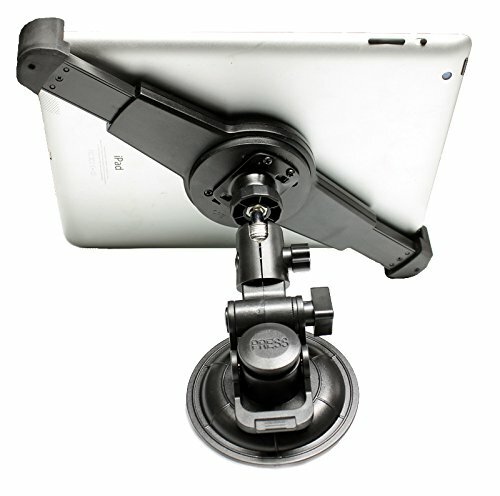 They are a super compliment to our iShot Pro iPad tripod mounts and work great as the interface you will be using to adjust your iPad or tablets final positioning. 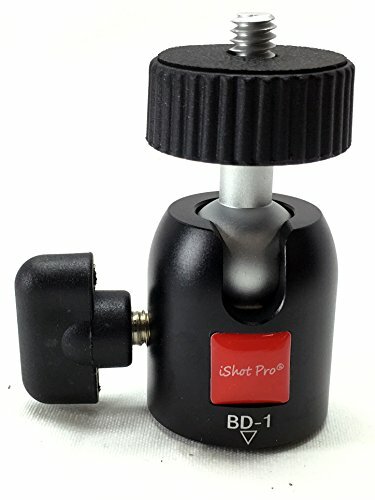 We developed the iShot Pro medium ball head for use with our iShot G8 Pro and iShot G7 Pro iPad tripod mounts for iPad mini's and full size iPads (2, 3 & 4), but so many customers have been asking to purchase it stand alone so we have recently added it to our product line. You will find this versatile medium ball head great to use with iPad mounts, iPhone holders, small digital cameras and video cameras. It's just the right size to handle a good amount of load but compact enough to easily store in a small pocket. It comes standard with 1/4 20 threads so it should fit just about any tripod or stand. 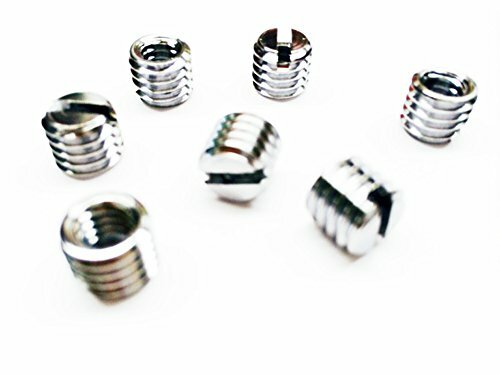 Retrofits with Manfrotto, Gitzo, Slik, Velbron, Razor fish, and all other threaded systems.